Renewed sponsorship reinforces Visa's commitment to one of Canada's favourite pastimes. TORONTO, November 28, 2011– Visa Canada is celebrating Canadians’ passion for hockey as it announces, together with the National Hockey League Players’ Association (NHLPA) and the National Hockey League (NHL), concurrent deals that will see Visa continue as a proud sponsor of the NHL® and NHLPA in Canada for an additional three years. The sponsorship also designates Visa as the official payment card of the NHLPA and NHL® in Canada. The sponsorship gives Visa the chance to develop programs to engage and excite Canadian hockey fans across the country. In celebration of the passion and loyalty of Canadian hockey fans, Visa launched a popular program called Hockey Love Hurts during the 2011-12 NHL season. With Hockey Love Hurts, Canadian Visa cardholders had the opportunity to win a variety of NHL-related prizes by pledging allegiance to their favourite NHL team at www.hockeylovehurts.ca. The program provided Visa cardholders who signed up with real-time offers to help get them through the ups and downs of being a fan during the NHL regular season. Visa cardholders can expect new and exciting programs as Visa’s sponsorship of the NHL and NHLPA continues. Visa’s ongoing support of the NHL and NHLPA strengthens Visa’s commitment to amateur and professional sport in Canada. In addition to its global sponsorships of the Olympic and Paralympic Games and FIFA, Visa is a proud supporter of its Canadian Team Visa athletes who will represent their country at the London 2012 Olympic and Paralympic Games. The National Hockey League, founded in 1917, is the second-oldest of the four major professional team sports leagues in North America. Today, the NHL® consists of 30 Member Clubs, each reflecting the League’s international makeup, with players from more than 20 countries represented on team rosters. According to a Simmons Market Research study, NHL fans are younger, more educated, more affluent, and access content through digital means more than any other major professional sport. The NHL entertains more than 250 million fans each season in-arena and through its partners in national television (VERSUS, NBC, TSN, CBC, RDS, RIS, and NHL Network™) and radio (NHL Radio™, Sirius XM Satellite Radio). Through the NHL Foundation, the League’s charitable arm, the NHL raises money and awareness for Hockey Fights Cancer™ and NHL Youth Development and supports the charitable efforts of NHL players. For more information on the NHL, log on to NHL.com. ® NHL and the NHL Shield are registered trademarks of the National Hockey League. All Rights Reserved. ® Visa is a registered trade-mark of Visa. 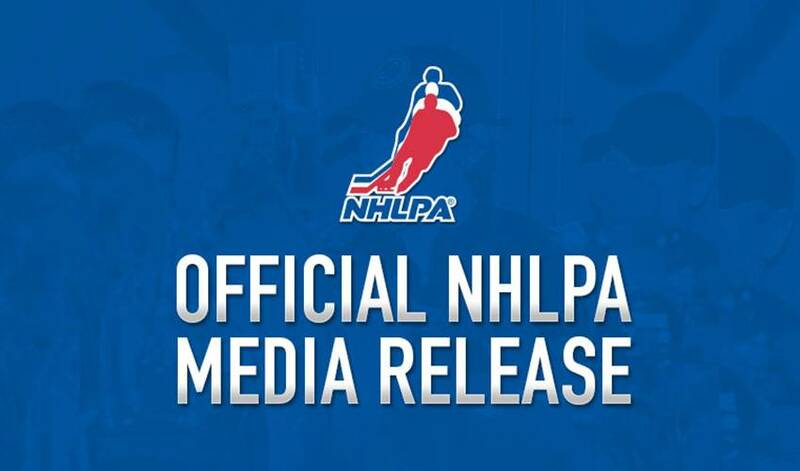 ™ NHLPA is a registered trademark of the National Hockey League Players’ Association. All Rights Reserved.